Do you want your puppy to grow into a happy, well-balanced dog? Our Puppy Classes can teach your puppy the skills it needs for life! Got a lively adolescent, or want to get your rescue dog off to a good start? 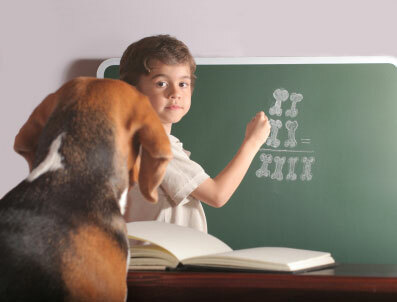 Our Beginners Class caters for all ages, breeds and backgrounds! Can't get to classes or need specific help? A private training session is your ideal solution! 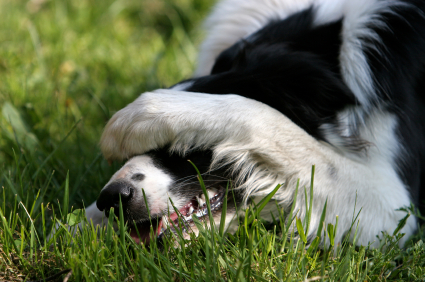 Does your dog have a behaviour you just can't cope with any more? I can help get you back on the right track! Whatever your reason for visiting my website, I can help you to develop a better relationship and bond with your canine friend using positive, kind, reward-based methods. 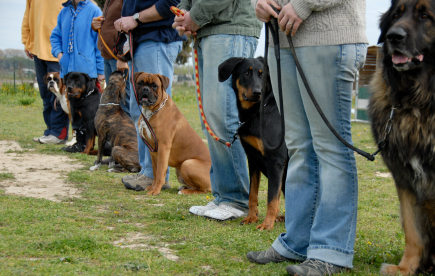 Dog training techniques are constantly progressing, and it is now much more than just teaching basic obedience. These days a good trainer will help to teach dogs the life skills they will need to enable them to cope in our often busy and stressful world. 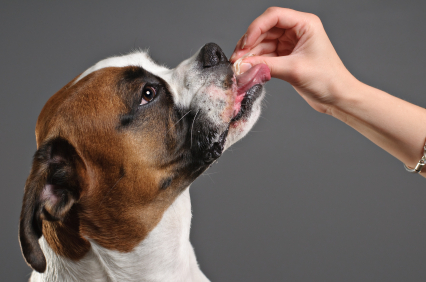 Learning life skills will result in a much calmer and happier dog. I have a Level 4 COAPE Diploma (1st year degree level) in Companion Animal Training and Behaviour, and have been instructing pet dog training classes since 2005, from beginners through to advanced. I frequently attend seminars and lectures to keep up to date with the latest research and training techniques, and use my knowledge of canine psychology to help you train your new puppy or adult dog, and resolve behavioural problems – either in class or on 1-2-1 appointments. 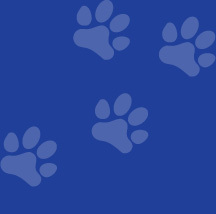 I am also a member of the COAPE Association of Pet Behaviourists and Trainers. Whatever your training need and whatever the size or breed of your dog, please do not hesitate to contact me to discuss your requirements. If your problem isn't on the list then please ask.